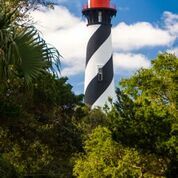 My website offers a wealth of information on buying and/or selling your home and highlights Northeast FL with specific pages for searching our beautiful area. Take a tour of the site, search homes from Fernandina Beach to Crescent Beach - then let's begin the conversation about your real estate goals. Ginger was outstanding to work with. She was very communicative throughout our home buying process - and made it fun! We could not have asked for anyone better to work with.